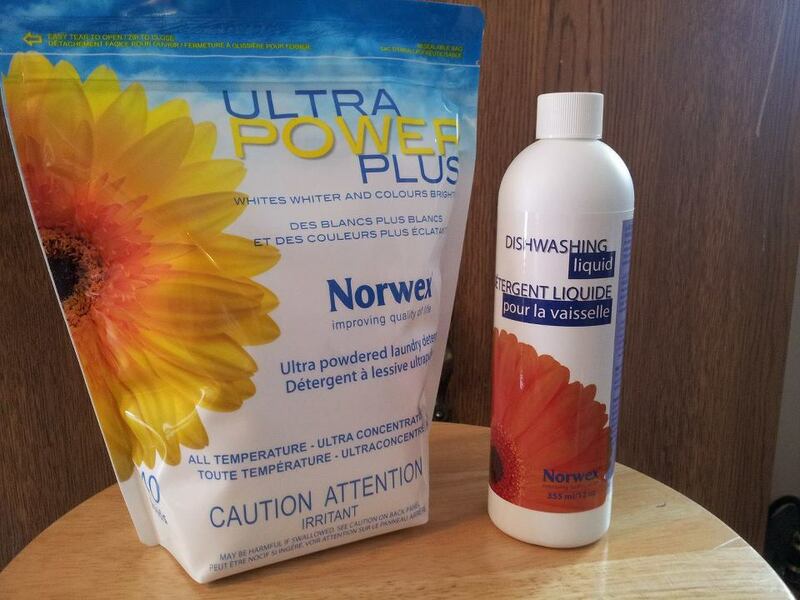 Ultra Power Plus (UPP) is a safe and effective laundry soap for everyone, from babies to bike mechanics. Gentle for sensitive skin & ultra concentrated. Fights stains from spit up to heavy grease. UPP has NO FILLERS, NO FRAGRANCE, and NO DYES, is biodegradable, septic safe, and will leave your whites whiter and brights brighter! For regular machines use 1/2 to 1 tbsp. per load which amounts to 80-160 loads per bag. For HE machines use 1/2 to 1 tsp. per load in H20 to get 200-400 loads per bag! For extra stain-fighting power, pair with our dish liquid, an excellent, concentrated degreaser. Ultra Power Plus is Norwex's #1 selling product! To break that down, I use about 1/2 tsp (give or take) in my HE front loader washing machine. One bag of UPP ($20.99) will last me approximately 400 loads of laundry. For the five people in my family, we do about 6 loads of laundry each week. One bag of UPP lasts me over a year. No harmful chemicals, no dyes, no fillers, no fragrances, nothing - it does not irritate my skin, or my kid's skin.